host to Presidents and Princes, was a prominent partner at J.P. Morgan & Co. and its Philadelphia affiliate Drexel & Co. for over fifty-five years. He also was an accomplished breeder of champion trotting horses, a conservationist, and a generous patron of art, opera and architecture. 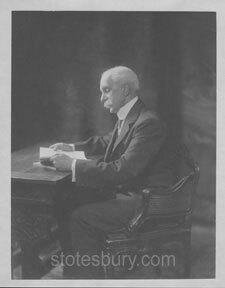 Although the number two Morgan partner for many years, he resisted the persistent attempts by J. Pierpont Morgan to convince him to move from Philadelphia to New York in order to help run the office there. Ever precise, shrewd and witty, E.T. 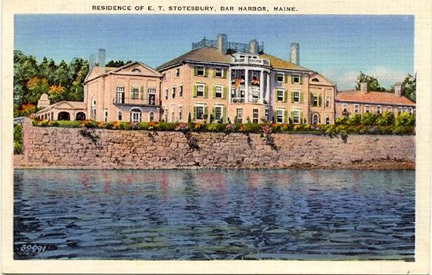 Stotesbury played a key role in the founding and growth of many of America's great corporations. 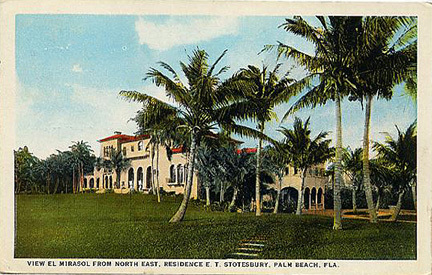 Stotesbury and his second wife Eva built three palatial estates: Whitemarsh Hall outside of Philadelphia; El Mirasol in Palm Beach, Florida; and Wingwood in Bar Harbor, Maine. 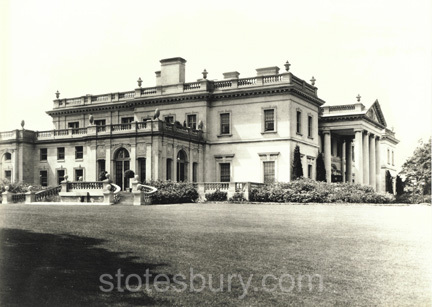 The 147 room Whitemarsh Hall housed one of America's foremost collections of British eighteenth century portraits, and it was arguably the finest example of Palladian architecture in the country. 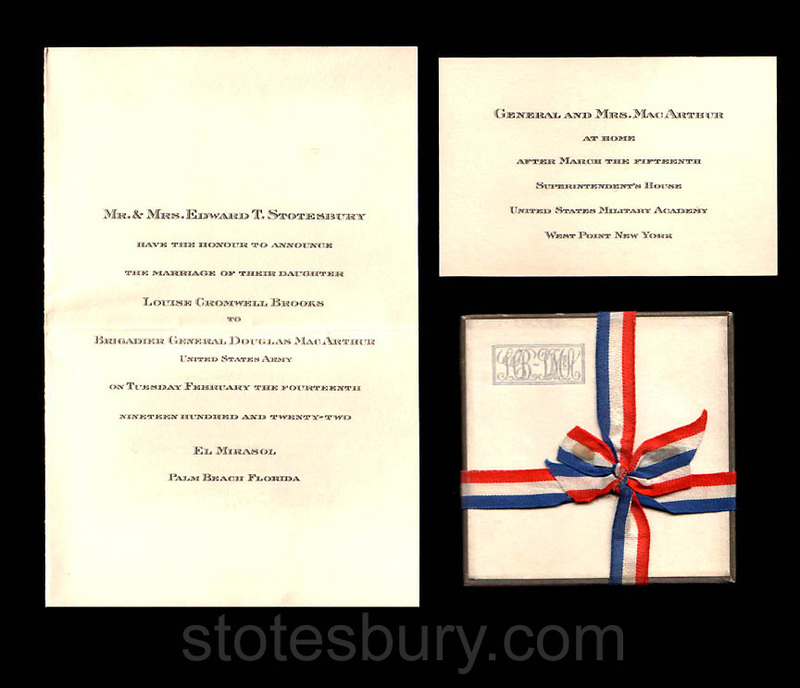 The Stotesbury story is filled with appearances by characters such as General Douglas MacArthur, who married Stotesbury's stepdaughter Louise Cromwell Brooks in 1922; the "Traction Twins" P.A.B. Widener and William L. Elkins; steel titans Andrew Carnegie, Joseph Wharton and Charles Schwab; horse breeders Judge William H. Moore and Alfred G. Vanderbilt; opera stars Mary Garden, Nellie Melba and Luisa Tetrazzini; architects Horace Trumbauer and Addison Mizner; tobacco heiress Doris Duke, known as "the richest girl in the world," who married Stotesbury's stepson James H.R. Cromwell in 1935; jeweler Pierre Cartier; New York model Dot King (whose murder remains unsolved to this day); art dealer Joseph Duveen; and of course Eva Stotesbury, whose exquisite wardrobe and jewels were exceeded only by her beauty, grace and charm. 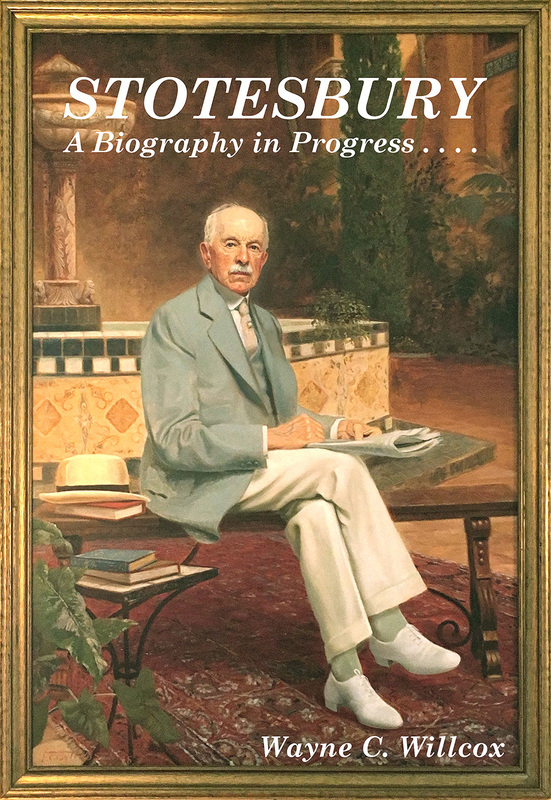 It tells of how a man who started as a clerk at Drexel & Co. in Philadelphia in 1866 worked his way to the top of one of America's great investment banking houses, and how he made--and lost--one of America's great fortunes. The richness of E.T. Stotesbury's life offers a wealth of information. Much as I would like to, I won't be able to include all of this in my book. This website provides greater details about some aspects of the life of E.T. Stotesbury than the book will be able to offer. Feel free to check back periodically as additional data is added from time to time, and I look forward to having the book ready for you to read soon. The portrait of Miss Glover of Bath, by Sir Thomas Lawrence, P.R.A. In answer to those who said that E.T. Stotesbury "never read a book...."
All original material, digital images and HTML coding Copyright (c) 2014 by Wayne C Willcox. ALL RIGHTS RESERVED. All HTML coding and digital images are the copyrighted property of Wayne C Willcox. No portion of this Web site may be copied without the express written permission from Wayne C Willcox. Wayne C Willcox intends to protect its copyrights. However, this and other pages on this website may be linked from any other Web pages, so long as the contents and/or appearance are not altered in any way.